1. 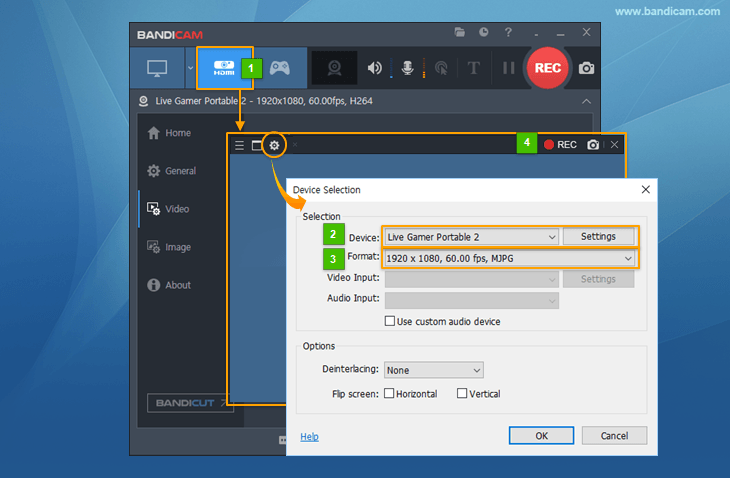 Bandicam now supports the fullscreen preview function in Device Recording Mode. 3. Improved the external codec compatibility. - The recorded video had syncing problems when the user recorded for a long time on some computers. - Bandicam had a noise problem when the AAC codec was used on some computers. - Failed to recognize some DirectX 10 games (Company of Heroes). - The 'Preview webcam on a screen' option didn't work when the 'Show FPS Overlay' option was unchecked in 'Game Recording' mode. - Lossless external codec including Lagarith/MagicYUV resulted in quality loss in the registered version.